Lebanon (MNN) — World Mission’s Greg Kelley recently went to the Middle East to strategize for more effective ways to share the Gospel. 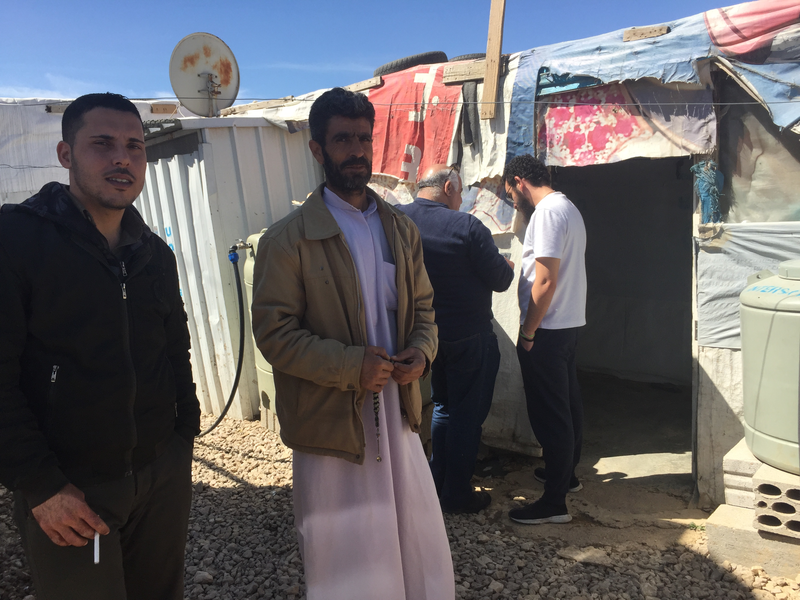 In Lebanon, World Mission’s focus is sharing the Gospel with refugees, many who come from unreached areas. Habitat for Humanity estimates over one million Syrian refugees – about 19 percent of the Lebanese population – have fled to Lebanon. It says over 400,000 Palestinian refugees – about seven percent of the Lebanese population – have also fled to the nation. Further, refugees from Iraq and Afghanistan have also entered Those the nation. However, the Lebanese economy and country have been weighed down by the extreme influx in population, and not everyone has accepted that. Lebanese military units have evacuated refugees from certain sites and thirteen towns and villages. Human Rights Watch reported more Syrian refugees have been forced onto the streets because of evictions in 2016. Around Christmas in 2017, 7,500 more were forced to leave their ‘homes’. 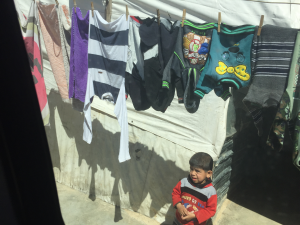 Those living in the Bekaa Valley, which is home to many refugees in the nation, are not safe from eviction either. 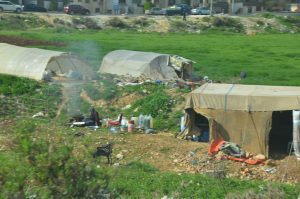 The United Nations High Commissioner for Refugees (UNHCR) reported 1,300 families were evicted from their camps and homes in Bekaa Valley in 2017. According to UNHCR, a total of 13,700 individuals were evicted in 2017, and Human Rights Watch reports 42,000 refugees remain at risk of eviction. Now, 500 refugees have returned to Syria. However, while this may give some slack to the Lebanese economy, this could close doors on ministry. “We viewed Lebanon as a tremendously strategic location in the Middle East, mainly because it’s the only country in that part of the world where it’s not illegal to convert from Islam to Christianity, and that’s very significant because as in our strategy, we’re trying to engage, of course, so many of the Syrian refugees who are in these camps,” World Mission’s Greg Kelley says. World Mission targets many of the refugee camps to do their ministry work in. They distribute solar-powered audio Bibles, called the Treasure, in the Arabic language. As so many people have shown the refugees hate and made them feel unwelcome, World Mission is showing love and making them feel valuable, all in the name of Jesus. Doing so has opened hearts so people are willing and even longing to hear the Gospel. “It’s just a beautiful thing. We saw so many people participating in these listening groups where they just gather around, hearing the Word of God,” Kelley says. While Kelley was in Lebanon, his team met a family who’d left Libya about four years ago. While World Mission workers were sharing the Gospel, the family listened to the Treasures. After being ministered to, the entire family became followers of Christ. But, their faith didn’t stop within the limits of their family. They started sharing with refugee families and individuals around them. “That’s really what we found the most powerful source and sort of strategy of evangelism is the same cultured individual sharing the Gospel with one another because it just eliminates so many of the barriers and the boundaries that you would have that when you don’t understand the language and you’re sort of an outsider,” Kelley shares. Pray for refugees in Lebanon to find a stable place to stay and that they would be loved by the people. Pray also that God would continue opening the hearts of refugees to His Word and that they would come to know Him and share His Truth and hope with those around them. You can provide a solar-powered audio Bible and share the Gospel with refugees, perhaps for the first time ever, by donating a Treasure through World Mission. Help support and minister refugees with World Mission.